The principles of good management are explained in an easy-to-understand way. Management is not easy and we all need to work on making ourselves better at it. Use this book to do just that and it will be a tenner well spent. This document is no more available for free. 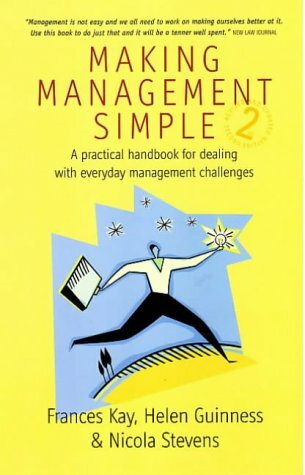 This book outlines the challenging role of the manager. The main topics such as planning, organizing, leading and controlling are covered, as well as issues such as competitive advantage, team structure, motivating, trust and flowcharting. This book will guide individuals and business owners alike through the process of establishing a personal mission statement that helps provide clarity and a sense of purpose. A series of exercises will help you begin building a life you love. This book covers the benefits and downsides of gamification. The author addresses the need to ensure your gamification design hits the right note with your target audience. The book also includes a number of examples of gamification campaigns. Companies around the world are reducing their energy and material expenses, increasing sales, and raising productivity - with little or no capital investment - while watching their costs and carbon emissions drop like a stone. This book shows how.